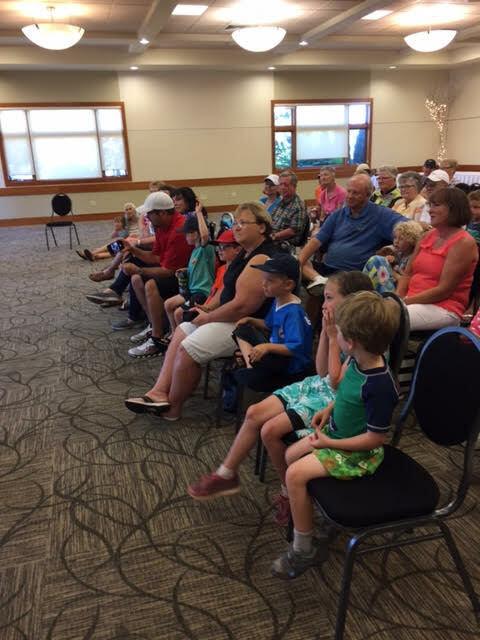 More than 60 members and staff with their kids and grandkids enjoyed an hour show with the Cascades Raptor Center on July 26. 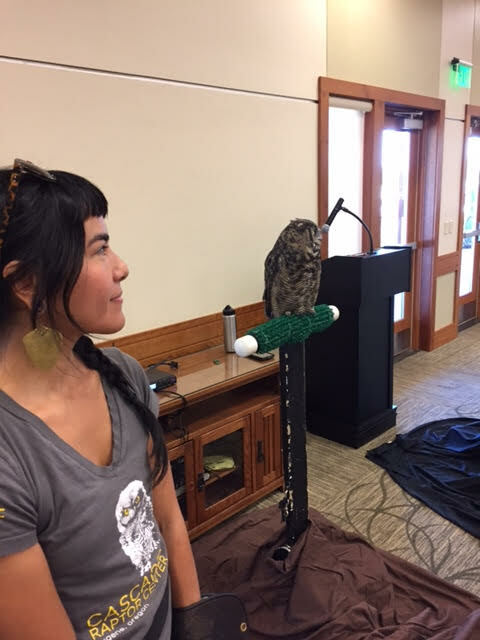 The stars of the show were Tino, a Great Hormed Owl and Taka, a Swainson’s Hawk. 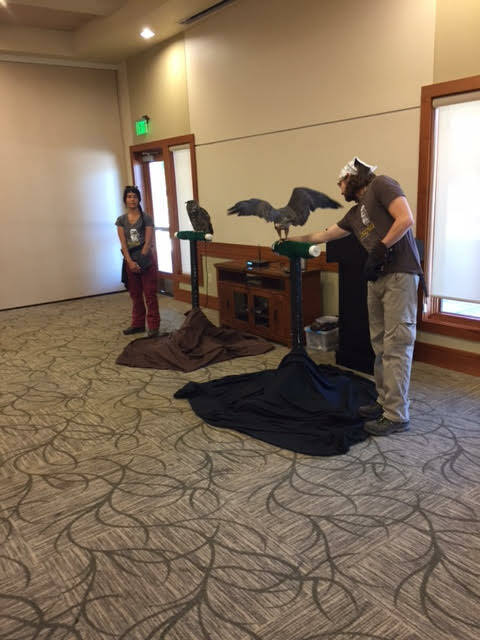 The birds brought along Zach and Laura, their human coaches, who entertained and educated us about raptors in Oregon and specifically about them. We learned that if we had eyes comparable to an owl’s they would be the size of our fists. 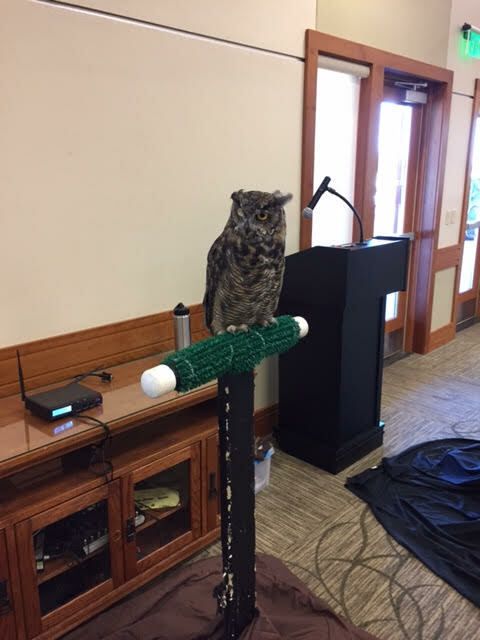 Since owls can’t move their eyes, they can turn their heads 270 degrees! The reason they are raptors is that they grab their prey with their talons and that talent distinguishes them from other birds. We got to see artifacts like owl and hawk wings and Osprey talons. All in all, it was a good time. 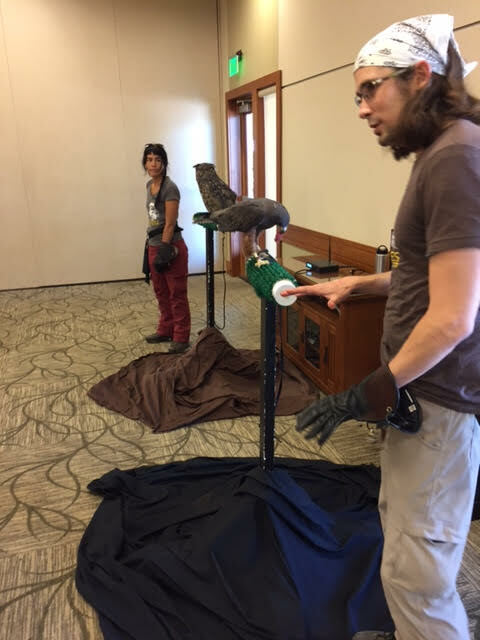 Thanks goes to the Audubon Club for making this happen. 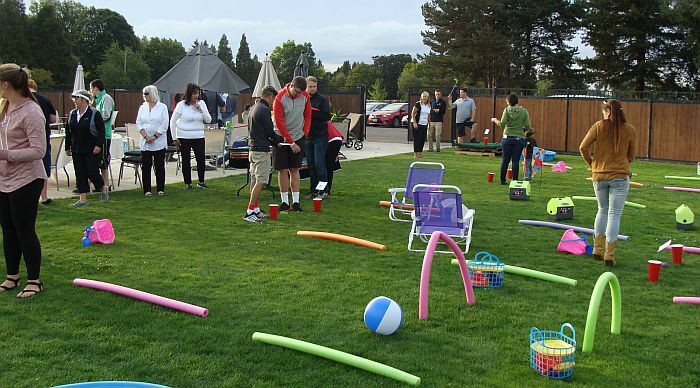 This year’s Easter Brunch and Egg Hunt at Shadow Hills Country club broke our record for attendance! More than 500 happy Easter celebrants made this one of the most memorable events in our history! Chef Diana and her crew prepared an amazing meal, and the staff (and Bunny) made this a flawless, fun event, that was blessed with clear skies (after a very wet week!). 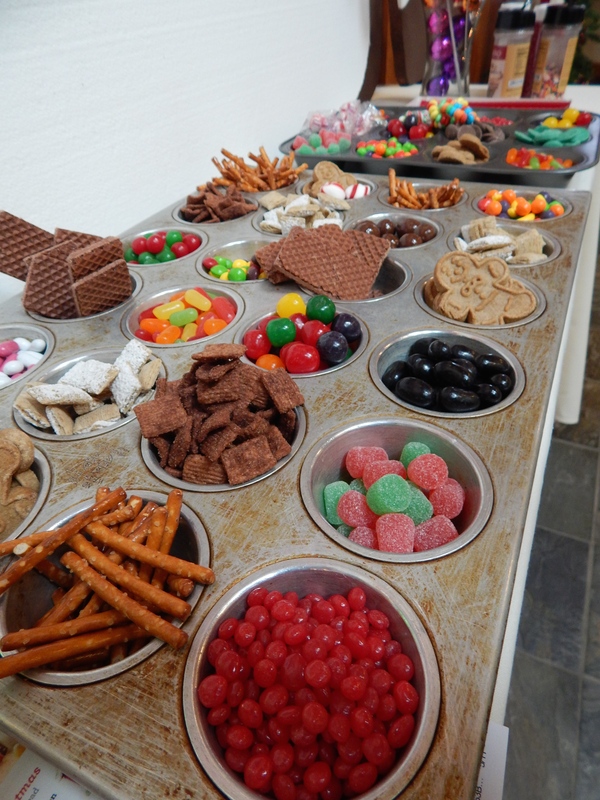 Watch the video for some of the fun, food, and festivities! 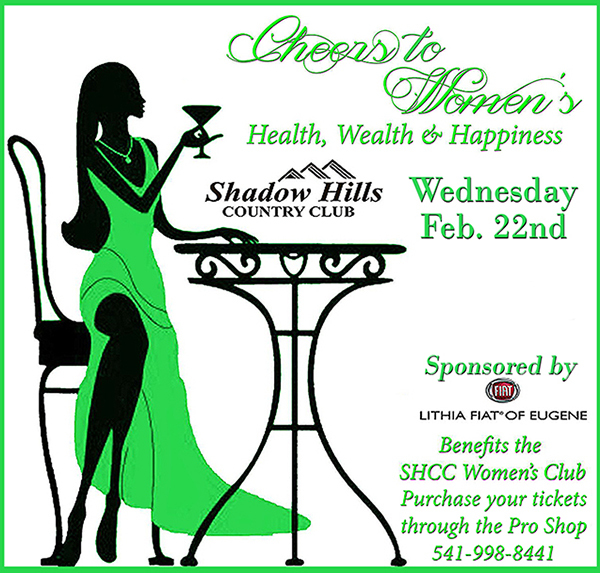 A record number of Shadow Hills CC women and guests turned out for the 2017 Women’s Night Out event on February 22nd. 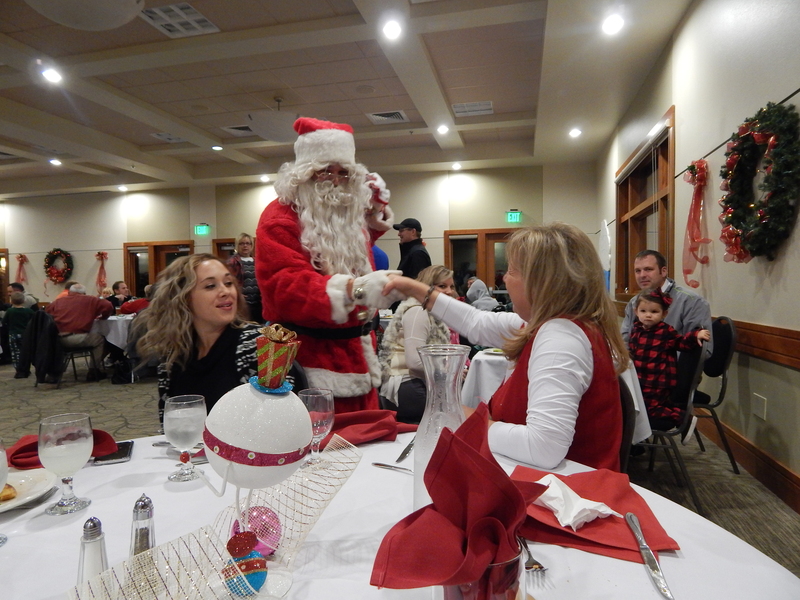 It was an amazing night of fun, food, beverages, and loads of door prizes and offerings from our amazing sponsors! Everyone who attended enjoyed and evening filled with camaraderie, along with loads of ways to fill their lives with Health, Wealth and Happiness! From the looks on the faces of all who attended, there was plenty of happiness to go around! 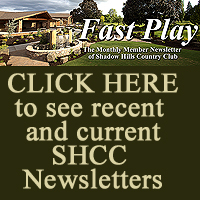 It is with a great sense of gratitude that the SHCC Women’s Club stages an annual “Employee Appreciation” party at the end of the season. This year’s party was held on Monday, Sept 20th, and the weather cooperated to make it a fun and rewarding event for all all who attended. There were games of skill, games for fun, prize drawings and loads of food and beverages, with two lucky employees winning the “grand prizes” of $100 cash each! The Women’s Club would like to thank all who donated to the prizes, as well as those who volunteered to help stage the event. 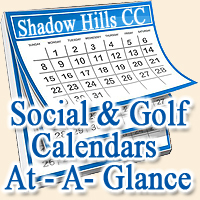 Our employees work hard to keep the members happy, and the course and facility looking great all year. This is a small token of our gratitude for their efforts! Click More to see the Winners- and Pictures from the Event! Almost two dozen participants showed up to decorate gingerbread houses in the lobby here at Shadow Hills CC. An amazing variety of designs and decorative items went into the tasty creations, each displaying the unique talents of the designer/builder/contractor involved. In the end, a wonderful (if sticky) time was had by all! Click Read More to see some of the results!